People who have lost their teeth and feel that implants are the viable option generally are the candidates for dental implants. It is important for the patient to be in good health for having dental implants and may not be right for everyone. However, there are certain conditions that may affect your decision for having implants. In this article, we will discuss about the candidates suitable for dental implants. Healthy gums: As dental implants fuses with jawbone, it is necessary to have healthy gums for supporting implants. 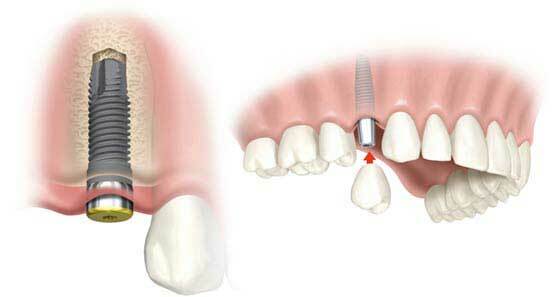 There are chances of implant surgery failure for the patients suffering from gum disease. Therefore, it is essential to get this treated first before planning for dental implant surgery. Good overall health: As dental implants require surgical process, it is important to be in a good health. Patients suffering from immune diseases such as diabetes, hypertension and who smoke and consume alcohol have less chances of success rate, as these conditions makes oral health poor thus affecting the healing process following dental implant surgery. Adequate jawbone: Implants fuses with jawbone in order to anchor tooth/teeth, adequate bone and its condition is one of the important requirements for the success of implant surgery. Moreover, if the patient does not have enough jawbone density, bone-grafting procedure can be performed for supplementing it. People who smoke – Smoking slows down the healing process, thus there are less chances of dental implants success. You can still be a good candidate for dental implants even if you are having one of these conditions; it depends on how severe the condition is. People consuming excess of alcohol that deprives them from following dentist’s instructions. These people are less likely to take good care of their teeth and gums. People taking some medicines like steroids/drugs that suppress immune system. People with bruxism (grinding and clenching of teeth). These habits put extreme pressure on the implants thus increasing the risk of failure.